Interested in becoming a Dreams Unlimited Travel Agent? Please have your Dreams Unlimited Travel reservation ID. For changes to Universal Tickets that were purchased through our cobranded ticket store must be made through Universal directly. 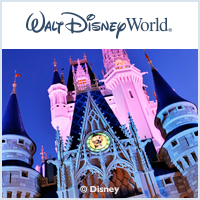 Disney World and Universal Orlando Tickets can only be purchased online through Dreams Unlimited. We do not sell Disneyland Tickets! You can purchase Disneyland in California tickets online here.